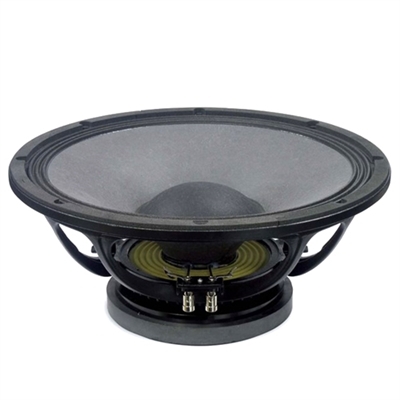 The 15W750 is a low frequency transducer which combines good linearity and efficiency with high power handling capabilities, containing a 3" aluminum voice coil. 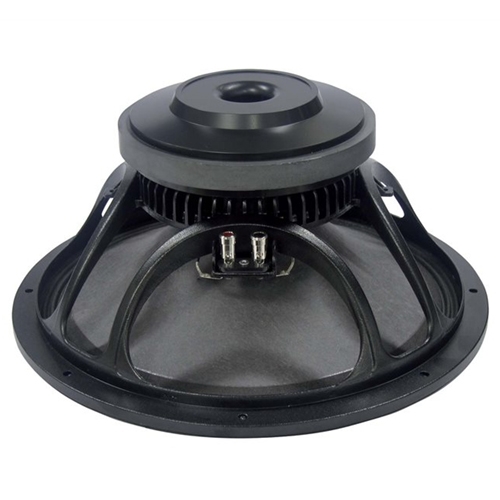 Although primarily intended for use in tuned reflex enclosures, the versatile characteristics of the 15W750 render it suitable for a wide variety of enclosure types, particularly as a subwoofer or as a LF driver in 2 systems. When used in a 2-way system, we recommend a 1.4" or 2" exit compression driver in order to obtain the best sound quality. The deep profile curvilinear paper cone has been made using a special high strength wood pulp and designed to achieve the best possible linearity within its intended frequency range and to control bell-mode resonances around the cone circumference. The cone is carried by an unusually deep profile, triple-roll suspension formed of a linen-like material which is more resistant to aging and fatigue than the traditional cotton-based materials used in conventional surrounds. The 3" aluminum voice coil employs the Interleaved Sandwich Voice coil (ISV) technology, in which a high strength fiberglas former carries windings on both the outer and inner surfaces to achieve a mass balanced coil. This results in an extremely linear motor assembly with a reduced tendency for eccentric behavior when driven hard. The magnetic structure has been optimized using our in-house FEA CAD resource that has maximized the flux density in the voice coil gap. Excellent heat dissipation has also been achieved by incorporating air channels between the basket and the magnetic top plate. Due to the increase in use of audio systems at outdoor events, the ability of the 15W750 to perform in adverse weather conditions or in areas of high humidity is a great advantage. This has been achieved using exclusive treatments which enable the cone and the magnetic plate to resist corrosion and render the cone water repellent at the same time.